The word “cookie” comes from the Dutch word “koekje” meaning little cake. Dutch bakers would use small amounts of cake batter to test their oven temperatures. They discovered that these tiny bits of cooked batter were quite appetizing. 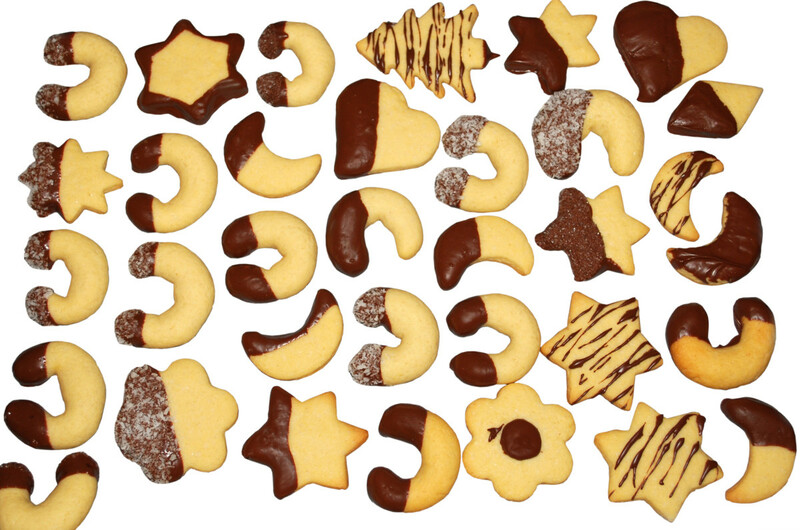 Cookies are a multi-billion dollar industry in the U.S.
December 4 is National Cookie Day. 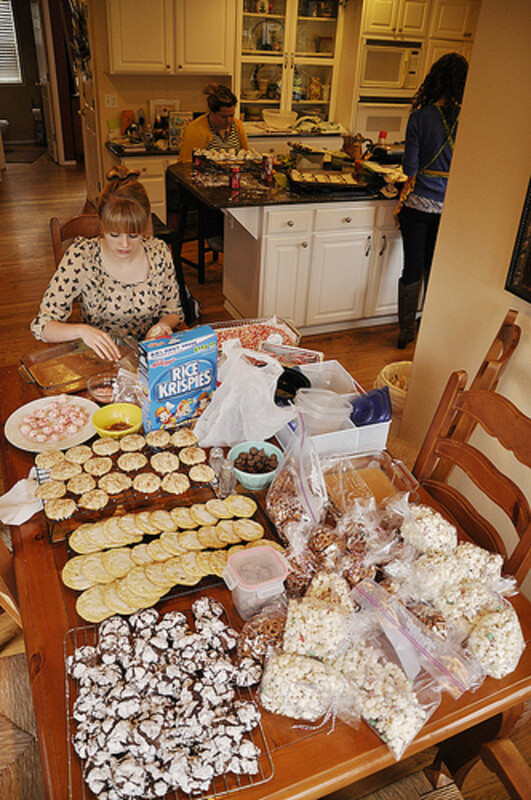 Hosting a cookie baking get together can be so much fun if organized properly. Whether you are baking for the holidays, a bake sale, or some other event, planning this day in advance will ensure everything goes smoothly. Using the internet through email or Facebook is a great way to communicate with your potential guests. Send a notice out to those who may be interested in joining you at your cookie baking party. Tell them to plan an entire day and ask what day would work best. Be sure to only invite the number of guests that will fit comfortably in your kitchen. 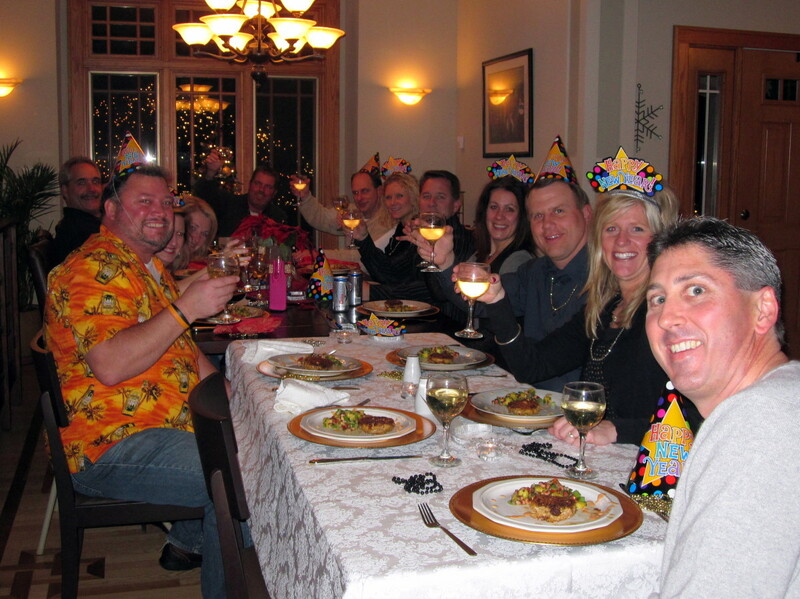 Once you have your guest list and the dates they are available, choose a day that will work with everyone’s schedule. Let your guests know the date chosen for your party. Ask them to send you a couple of their favorite cookie recipes. Compile a list of everyone’s favorites. If there are too many to make in one day, ask your guests to narrow down the list of recipes. Once you have your list of recipes in place, create a list of all the ingredients and amounts you will need. Ask your guests what ingredients they are willing to bring. You do not have to be responsible for purchasing all the ingredients. Most people will be glad to pitch in. Be sure you have all the things you need such as bowls, spatulas, cookie cutters, mixer, cookie sheets, cooling racks, etc. Ask your guests to bring containers to take cookies home in. Also have some extras on hand. If cookie baking for a bake sale, be sure to have other items on hand such as cellophane bags & ribbon, plates, foil, etc. Create a shopping list and purchase the remaining ingredients that are needed. Be sure to have something for your guests to eat (besides cookies) throughout the day. Simple snacks and pre-made sandwiches will work well. As far as beverages, you may be interested in making a Party Punch for everyone to enjoy. Getting together with family and friends to bake cookies is a time for you to have fun conversations and can catch up on what is happening in everyone’s life. The main thing is to have fun and enjoy this get together with loved ones. I've included some of my simple family cookie recipes below . . . There is no need to make extravagant cookie recipes that take lots of ingredients and time. There are plenty of ideas that are easy and quick. 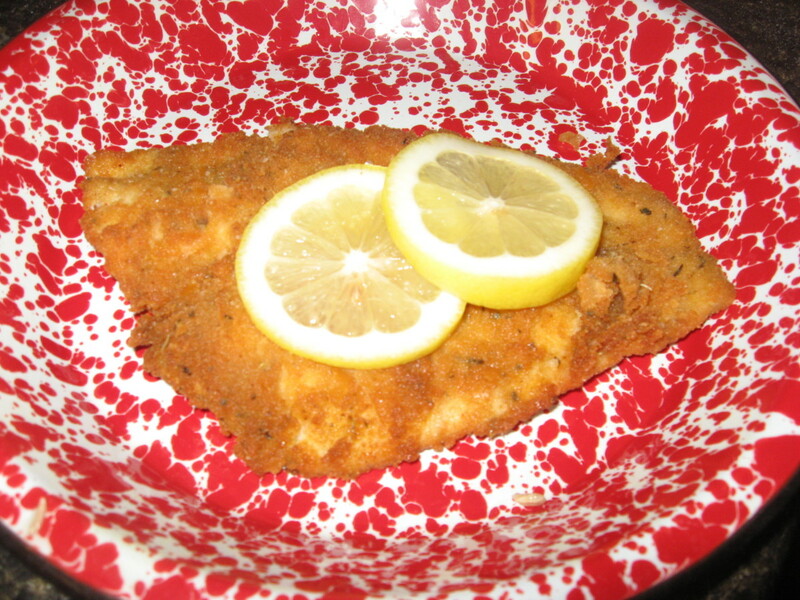 Here are some simple recipes that everyone enjoys! Norpro 3301 Cookie Press 8.5 In. H.
Blend first five ingredients together. Add flour and salt last until completely blended. Press cookie dough into cookie press. Press cookies onto cookie sheet. Bake at 400 degrees for approximately 6-8 minutes. Cookies will still be a whitish color when done. Sprinkle decorations on top before baking. Add orange or lemon juice (or zest) for a citrus flavor. Add cocoa powder or chocolate syrup to make chocolate spritz cookies. Sift flour, baking soda and salt. Cream butter, peanut butter and sugars together. Add egg and vanilla to creamed mixture. Blend in dry ingredients. Mix thoroughly. Shape dough into balls approximately 1½ inch in diameter. Rolls balls in sugar and place on cookie sheet. Bake at 375 degrees for approximately 8 minutes. Remove from oven and press one chocolate wafer in the center of each cookie. Return to the oven for approximately 2 minutes until cookies are golden brown. Instead of using flat chocolate wafers, use Hershey’s Kisses or M&M’s. Cream butter and sugar together. Blend in egg and vanilla. Sift salt, baking powder and flour together. Blend into the creamed mixture. 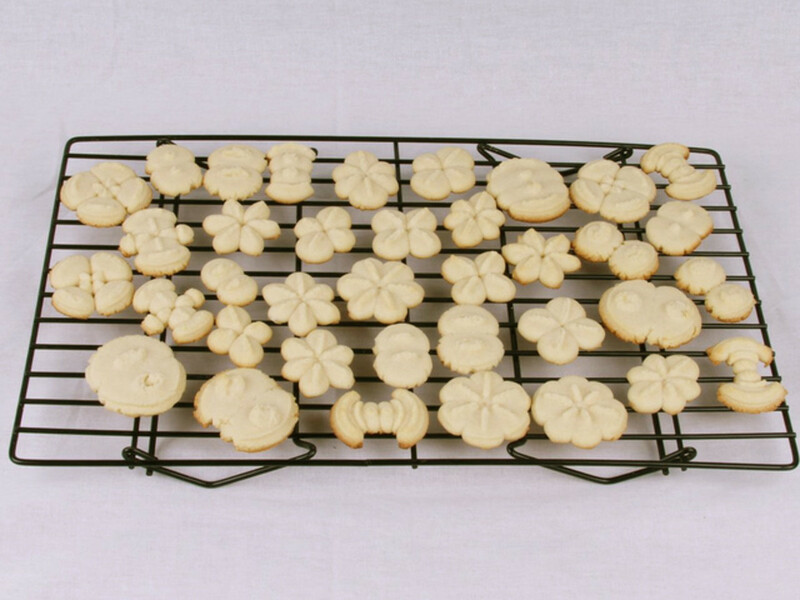 Roll out dough on a floured surface and cut with desired cookie cutters. Bake at 400 degrees for 8-10 minutes. Decorate with frosting after baking. Cream butter and sugar together. Blend in flour, salt and vanilla. Add nuts. Mix well. 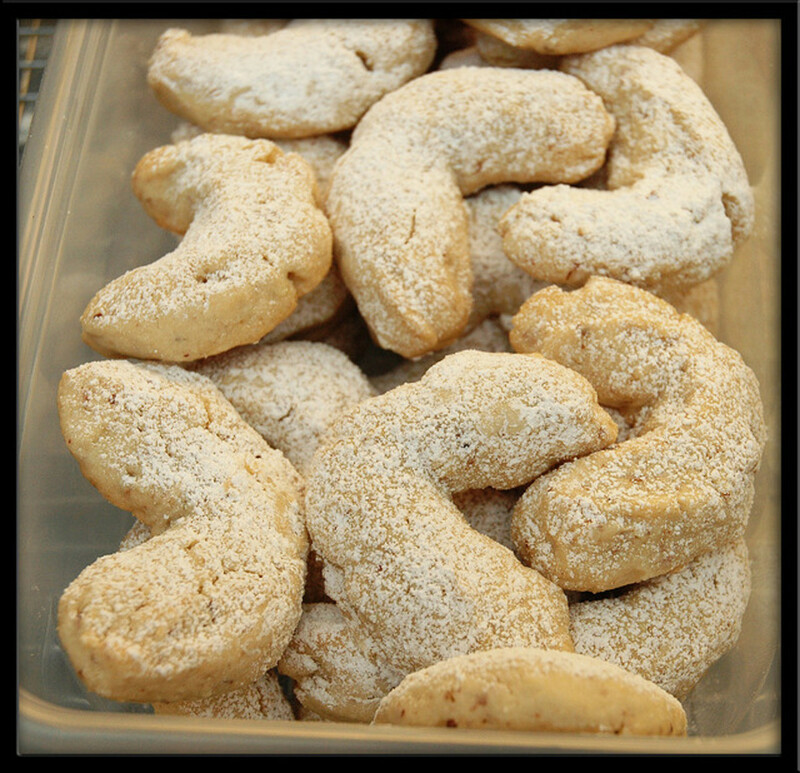 Shape into small moon crescents and place on a greased cookie sheet. Bake at 325 degrees for approximately 15 minutes. 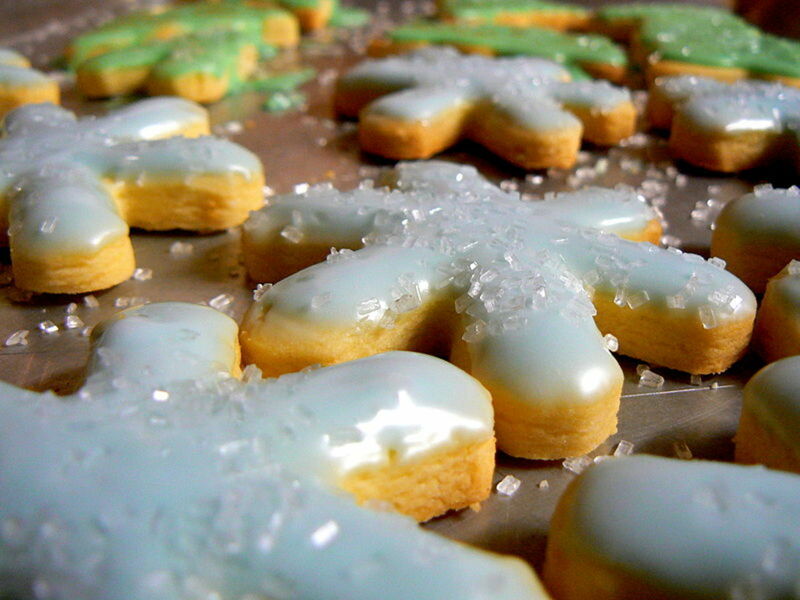 When cookies are completely cooled, roll in confectioner’s sugar. Use chopped pecans instead of walnuts. Please tell us . 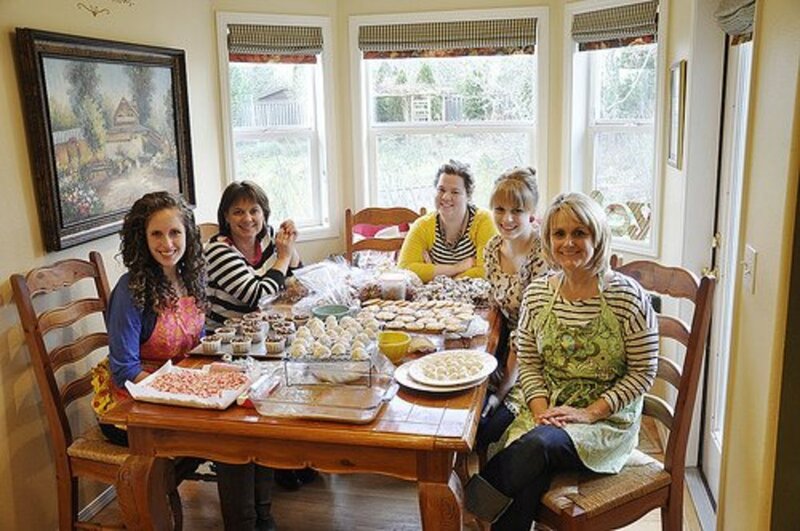 . .
Have you ever hosted and/or attended a cookie baking party? No, but I would love to. Interested In Writing For HubPages? Go to the SIGN IN PAGE to get started now! Want To Follow Sharyn's Slant On HubPages? Please click HERE TO GO TO THE PROFILE PAGE. Then click on FOLLOW next to the profile picture. Please feel free to share any Cookie Baking Party tips you may have in the comments section below. Hi Rebecca! It ends up being an "exchange." Does that count, ha. Have a great holiday. Thanks for stopping by! Cute idea! I have done cookie exchanges, but this takesit to a whole new level! Hi Diana ~ I think that is a great idea for your group. You can keep it simple and still have a fun time. Thank you so much for your feedback. I want to do something special with my Bible Study group for Christmas and this may be the perfect thing. It is simple yet sounds like a lot of fun. Thanks for the idea. Awww, thank you SZ. Could you send me some this year? Thank you for stopping by again! Came back to get some of your cookie recipes. Time to start the Christmas Cookie baking at my house. Hi Bar ~ I am thrilled that you enjoy my articles and so glad that you stopped by. Have a wonderful day! Again, yet another wonderful hub. Very very thorough. Thank you for the tips and recipes. I enjoy all of your work, Sharyn! Hi PinkChic ~ I hope someday you will be able to have a cookie baking gathering. It is a lot of fun. Thanks so much for your comments. Neat hub! I wish I had the time to host one of these, but the time it would take me to clean the house and bake a bunch of cookies - I just don't have! Hi Elena ~ I'm glad you enjoyed this. Thanks for stopping by. Excellent Tips - Thanks for sharing. Hi Cathy ~ nice to meet you. Thank you so much for stopping by to check this out and for the follow too. Hope you have a great holiday! Hi Lisa ~ I think you would host an awesome cookie baking party. I want to be there!!! I'm glad this put you in the mood to bake. I appreciate the vote and sharing this too. You are so sweet! I hope you are enjoying this holiday season! I have actually done a few of these in the past years and loved every one of them. I love all the ideas and recipes Sharon! I am so in the mood for baking cookies after reading your hub! ♥ Thumbs up up and shared! Hi vespawoolf ~ so glad to hear you love this hub. Thank you so much for your compliments. I hope you plan a cookie baking party and have some fun. Thanks for your votes and share too! I love this hub! 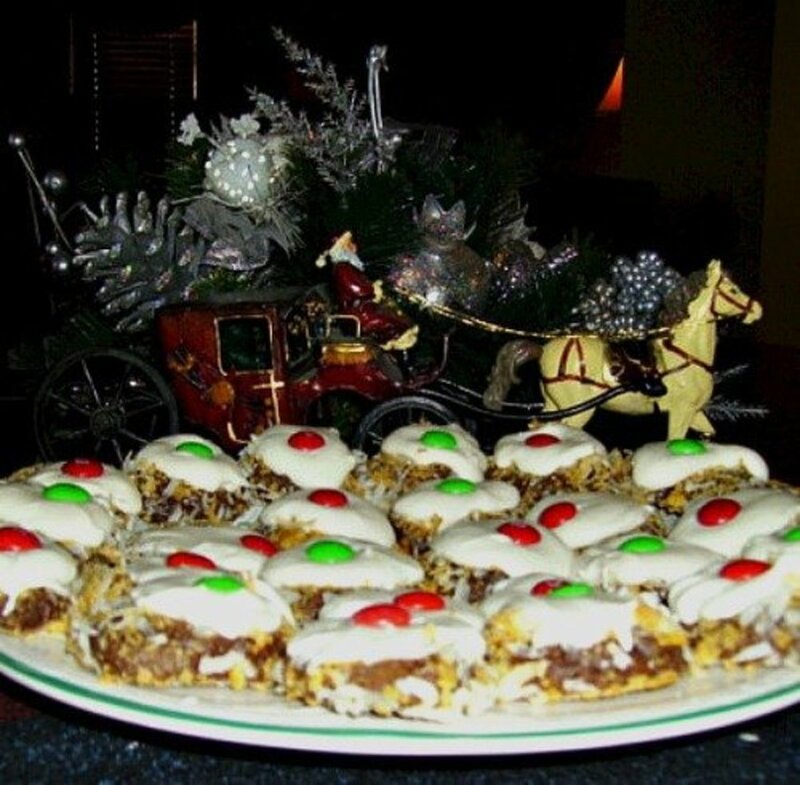 A cookie party sounds like fun and your recipes look fabulous. You chose some beautiful photos to accompany them, too. Voted up and shared! Hi mvillecat ~ I actually thought about writing a hub on cookie swaps. Certainly, at the end of a cookie baking party, you can then "swap." Thank you so much for the votes and sharing this article. Oh Cyndi ~ I would never think you are a "ditz." I do think that you are a lot of fun and would make a great host for a cookie baking party. Thanks so much for your feedback. My women's club used to have a cookie swap at Christmas but I have never attended a cookie bake party. Sounds like a lot of fun. I voted up and tweeted. Hi Glimmer ~ so, you already know how much fun a cookie baking party can be!!! Thank you for stopping by and leaving such nice compliments. These are so much fun! My bunco group does it at Christmas. Voted up. Beautiful hub and great layout. Hi Kelley ~ oh I hope you do host a cookie baking party. They are so much fun. Thanks for stopping by. Hi Moonlake ~ Glad to hear you have done cookie baking parties and really enjoyed it. I appreciate your feedback, thank you! Hi Christy ~ what a nice compliment, thank you. You should try a cookie baking party. It really can be a lot of fun and you are getting something done too :) Thanks for stopping by. My poker group use to do this every year at Christmas. It was fun. We all enjoyed it. Great hub voted up. Hi Melbel ~ Yes, you should do it. It's a lot of fun. I was going to write about "cookie trades" and still might. I love how you said "maybe gossip" - ha. Thanks so much for stopping by. Fabulous hub! I should host a cookie party. I think that would be a lot of fun! Hi Maria ~ Thank you so much for the compliments. I always love when you stop by. Thank you my friend! Hugs back atcha. Hi Lesley ~ The peanut butter blossoms ARE awesome, you should try them. I'm so glad you stopped by. Thank you for the votes and sharing too. Hi Audra ~ I believe you would be a great host for a cookie baking party. It really can be so much fun. FYI, I love the photo too, but it is not mine. 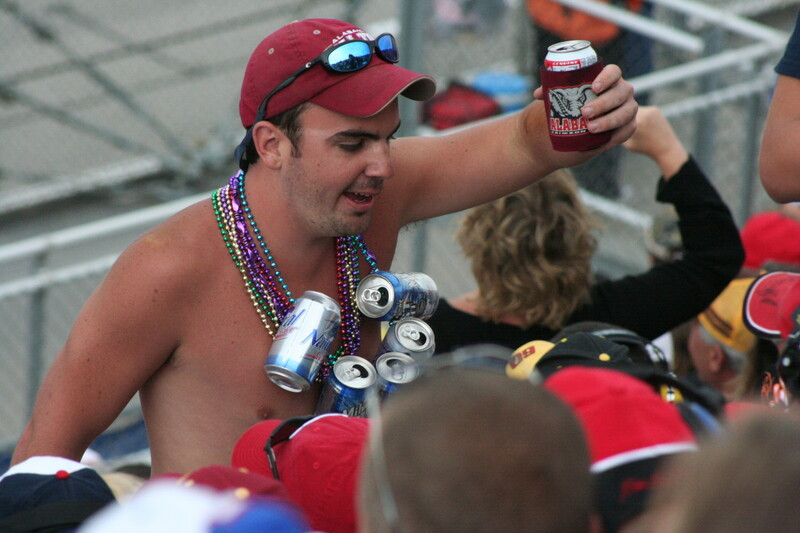 But it is exactly the type of photo I was looking for and was thrilled to receive permission to use it. Thank you so much for your shares and feedback. Hi Kelly U. ~ Those cooling racks look great, don't they! I don't have one like that either. And btw, it is possible that everyone else does the baking, and you just supervise, ha. Thanks so much for your feedback. Hi Kelley W. ~ You are very welcome! Thank YOU for voting and sharing. Hi Donna ~ yes, definitely a fun idea for the holidays. You could even incorporate a gift exchange to add to the fun. Thanks so much for your feedback. Hiya Paula ~ Funny you mention Cookie Monster. When I first started the hub, I had a picture of the Cookie Monster and some "fun facts." Did you know that his real name is Sid? It's true. Anyway, as I kept going with the hub, I decided to take him out. And thank you so much for making me laugh (as usual) about your friends, ha ha. You might have a really great time when the firemen arrive though! Mmmm this is a yummy idea on every level... well-organized, helpful and the inclusion of your family recipes was "icing on the koekje". 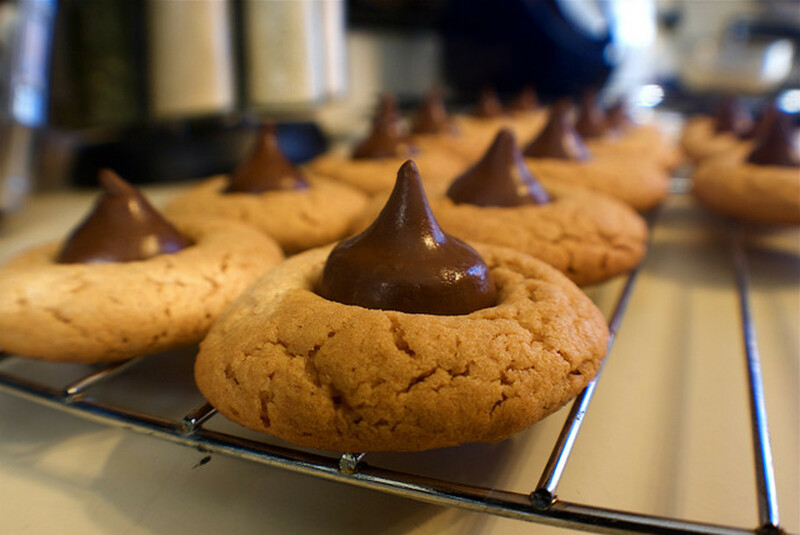 Hi Sharyn, I love the idea of a cookie party and these recipes look fabulous especially the peanut butter blossoms! I would love to have a cookie party! The Peanut Butter Blossoms lok fabulous! I love the photo of your friends! That pic belongs in a spread in home and garden! What a cool event to plan with cool people! Voted up and shared! 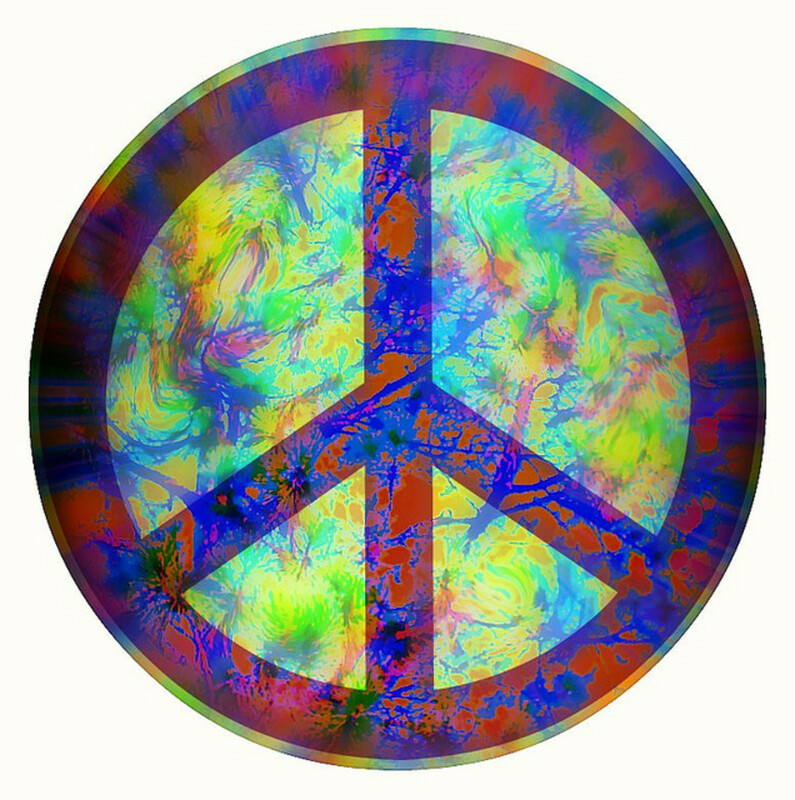 Hi Janine ~ I'm so glad you liked this and will pin for future use. I appreciate your feedback, thank you. Mmmm mmm those cookies look good! Wish I had a plateful now:) I need those cooling racks...I only have one small one and it just isn't enough! Susan ~ Of course you could do this. Getting the right group of friends and family together for something like this could be a blast. Thanks for bookmarking and sharing! I appreciate your great feedback. Dr. BJ ~ first come, first served! Since you were the first to ask, I make you the official "cookie taster." And your fees are reasonable too, ha. Thank you for your feedback. I'll let you know the date so you can clear your calendar! Hi Dex ~ great to see you! Funny about your butter cookies and getting men together to bake them ~ I was thinking about adding something that said "don't forget, there are men that enjoy baking too!" Heck, why not! Thank you so much for stopping by! Excellent hub. This is a great idea for the holidays especially. Hi Lady Slant!! Very professionally written as well as beautifully illustrated! You do nice work, girl! I like to cook (not as much as I used to) but baking has never been one of my favorite activities. My friends are much too crazy to behave well enough to do something as bake cookies together. They just can't be trusted, Sharyn....they're all my age and older......we would walk into one another, spill stuff everywhere, throw nuts at each other and no one would time the baking! The most excitement would probably be the firemen who put out the kitchen fire. Tha is for sharing. I agree this looks fun and will pin to try to use in the future. Sharyn, this looks like so much fun. Ya know I'm not much of a cook, but I think I could do this one. I think having the ingredients ready and making it a fun day with friends and/or family would be the biggest treat. Also, I am bookmarking this and sharing it for your cookie recipes. I think the Butter Rich Spritz Cookies and the sugar cookies (which I have never attempted) would be my favorites!! Yum! The Cookie Baking Party is a great idea and I love the recipes, too, Sharon. Do you need a taster? I will work for free. Have discerning palate and will travel! Looks like fun if one could be trusted in a kitchen, which I cannot. Great hub; you did a nice job on this one with a unique slant, different from the host of recipe hubs I've seen this month. I hope you win!